Following the release of macOS High Sierra, Mac users have discovered that Apple is no longer listing previous operating system updates in a user's Purchased tab in the Mac App Store. Neither macOS Sierra nor macOS High Sierra show up in the Purchased list, suggesting the updates are no longer tied to an Apple ID account. Previous Mac software updates were linked to an Apple ID account and updating required an Apple ID and password, something that could be a hassle when a Mac changed ownership. An Apple support document on reinstalling apps confirms that the change to remove macOS Sierra and High Sierra from the Purchased tab was intentional. "macOS Sierra or later doesn't appear in the Purchased tab," reads the document. 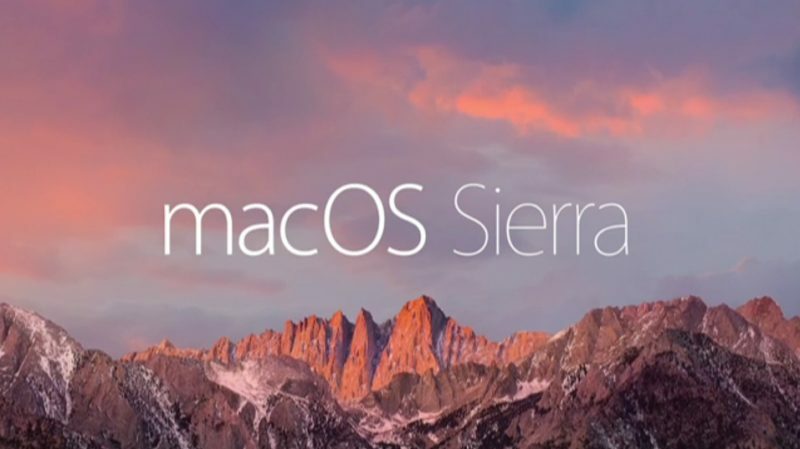 In the case of macOS Sierra, the change means that there's no way for Mac users to download macOS Sierra should they want to downgrade from High Sierra for some reason. OS X El Capitan, OS X Yosemite, OS X Mavericks, and earlier updates are all tied to a user account and listed in the Mac App Store. Apple has also made a link to the OS X El Capitan update available through a support document, but no similar support document is available for macOS Sierra. This is why people were complaining so much about OS X becoming download-only since Lion. If I wanted to install an older OS, whether it'd be for compatibility or testing, I want to be able to download it, especially when I don't have the space for dozens of OS installers "just in case". I was still fine with the older OS X installers being redownloadable, and even purchasable when the next OS was already released, but since Yosemite you can't get Mavericks unless you already owned it and now you can't even download Sierra, even if you downloaded it previously. This makes it seem like Apple is heading towards the forced upgrades and downgrade lockout from iOS, and that seriously concerns me. * By which I mean, the program not only downloaded Sierra, it did so using the Apple-supplied App Store frameworks in /System/Library/PrivateFrameworks, resulting in an application bundle containing a properly-signed MAS receipt linked to my Apple ID. I have downloaded every point update full installer since Lion. Once the 10.x reaches the final point, I keep only that. I have never trusted Apple (or Microsoft) not to pull something like this, so I protect myself. Can everyone stop repeating this. OK we get it, you were all really really clever and have a copy. Well done. Especially after 5 people have said the same thing. And I'd love to see one of you still so excited, if you happen to lose said copy, only to realise you also then can't get another via downloading it again directly from Apple, just as other users here cannot now. This thread is about why Apple have completely removed it from download, without any previous notice or comment as to why, post-High Sierra's release. Rather than how clever you are in having a copy already. It makes a bit of sense if this only affects High Sierra users as a downgrade requires reformatting your drive back to HFS+ from APFS. If you upgrade to High Sierra and you don’t have a Sierra Time Machine backup, you’re basically hosed. This is so depressing. Apple, why do you fight your users like this? Being able to install older OS's is essential for many reasons, not least running old machines or older applications. First signing on iOS and now this move?! business. So I'm stuck at iOS 10. And if I have to restore my phone from a backup I'm screwed :-/. Equally our desktop machines run a vastly complicated set of audio and video plugins. Just one of them not being compatible with high sierra means I can't load up older work. For professional work we need an option to maintain a system with an older OS. Please rethink your philosophy here. Lucky I downloaded the Sierra 10.12.6 installer last week. These complaints are ridiculous. The only type of person who would want to install an older operating system is a power user. And if you're a power user, you'll have the knowledge to be able to save installers, or be able to find any previous version of macOS on the internet and verify its integrity. If you don't know how to do either of those things, you aren't the type of person who would need to install an older OS. No they are not ridiculous. Picture this: You are on tour with u2 running their IT and have an hd crash. You need to reinstall sierra in a hurry (not high sierra as it's incompatible with some plugins being used) on a brand new hd and reinstall all the plugins etc. The machine originally shipped with el cap. You forgot to bring the installer or a complete clone hd with you (the latter in my experience don't work well incidentally). So you need to redownload sierra. How do you do it? Search the torrents?! I've saved every installer onto its own flashdrive from Lion onwards before upgrading and keep another backup on an external drive. A consequence of having a number of Macs to maintain. Who wants to keep downloading 5GB+? Not sure what the moaning in this thread is about. People are getting lazier and expect every update to be available in perpetuity on demand. Apple has removed updates and OS upgrades before. This is nothing new. Sure it's possible. But why make it harder than it was last week?